Do you daydream of an elegant outdoor living space that is functional as well as beautiful? 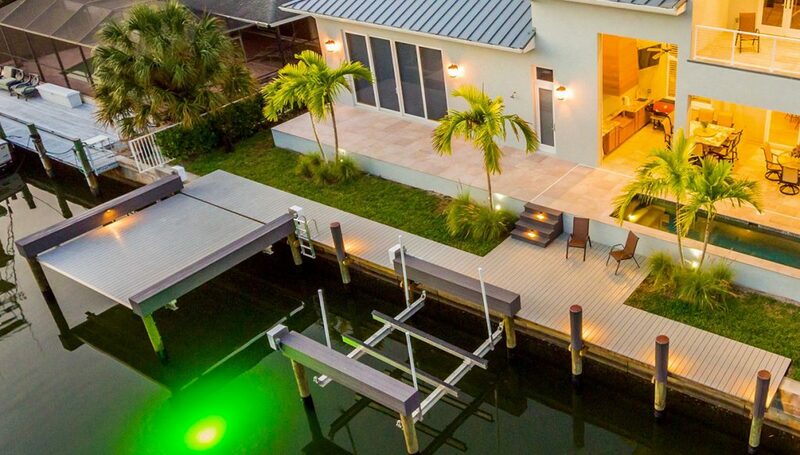 Naples Marine Construction can turn your waterfront dreams into reality. With Naples Marine Construction, your custom-built dock will not only provide a secure place to dock your boat or jet ski, it will also extend the usable living space of your property while enhancing the scenery of your view. 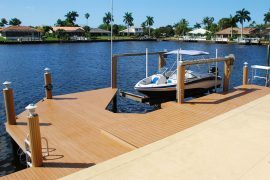 From the timeless look and feel of nautical wood to more contemporary and long-lasting molded composites, Naples Marine Construction can build your custom dock in an endless variety of shapes, sizes, colors, materials, and styles that will perfectly accentuate the look and feel of your waterfront property. Step 1 – We listen – closely. We don’t just build cookie cutter docks. In order to create a stunning waterfront structure for your ease of use and enjoyment, we begin by asking questions. What is your vision for the final construction? Are you an avid fisherman or prefer just taking a leisurely cruise in the gulf to look for dolphins? Will you be kayaking and/or jet skiing? Who will be using the dock? Do they need any special accommodations, etc.? A thorough conversation is the key component to ensuring we meet your every expectation. Step 2 – We provide you with a rendering. Once the “must haves” are agreed upon, we provide you with a rendering of the proposed design to be sure that we’ve captured your vision. In addition, we’ll include both design options (i.e. copper or plastic caps for the pilings, matching color screws for the decking, or hidden Camo screws) and feature options (i.e. Four-legged fish table or two, lighting options, additional electrical outlets, etc.). We’ll even include a picture of each to give you the best feel possible for helping you envision what’s in store. Step 3 – We provide you with a detailed pricing proposal. 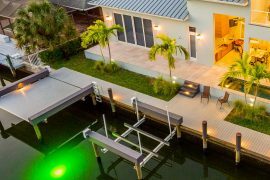 Naples Marine Construction will then provide you with an estimate and scope of work for the project. Step 4 – We begin the permitting process. Once you’ve decided to give us the privilege of building your dream, we’ll take the lead from there and let you sit back and watch. We’ll file all the appropriate paperwork with the county and/or the city building departments – including, when occasionally necessary, special petitions and or building variances with the Florida Department of Environment Protection (DEP) or the Corp of Engineers. Step 5 – Relax and enjoy! When your building permits have been approved, we’ll sit down and lay out an anticipated construction schedule. And, days before your project begins, we’ll even send a courtesy notice to your neighbors to let them know we will be in the area. Why? We know that trucks, barges, and trailers can be an inconvenience and even an eyesore to many. Some of your neighbors might even be planning a special event during your construction phase. We want to ensure your neighbors that we intend to be respectful to their needs and concerns throughout the entire construction process. In short, we take pride in the quality of our work and in our professionalism. Our greatest sense of pride comes in knowing, that when we are finished, we’ve created a waterfront environment that you and your family are proud of! 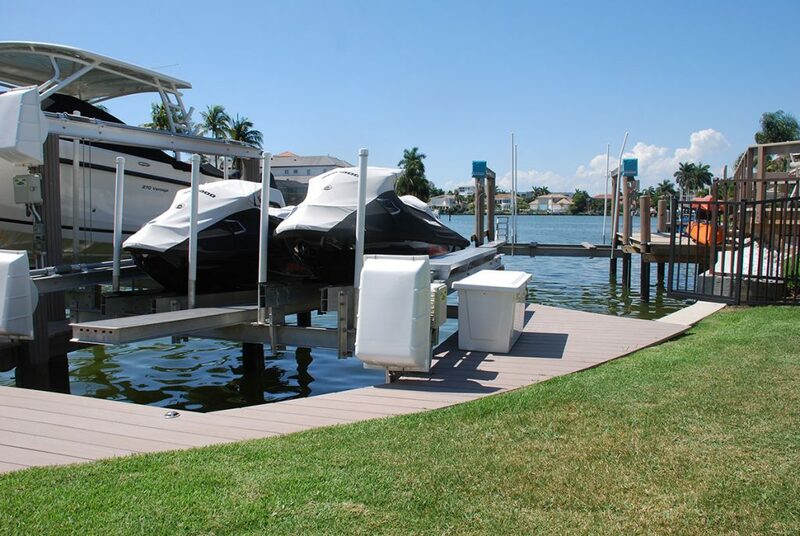 So whether you’re in need of large dock for your yacht, a custom lift for your center console, or a versatile floating dock for your kayaks and jet skis, Naples Marine Construction is here to help. Let’s have a conversation. 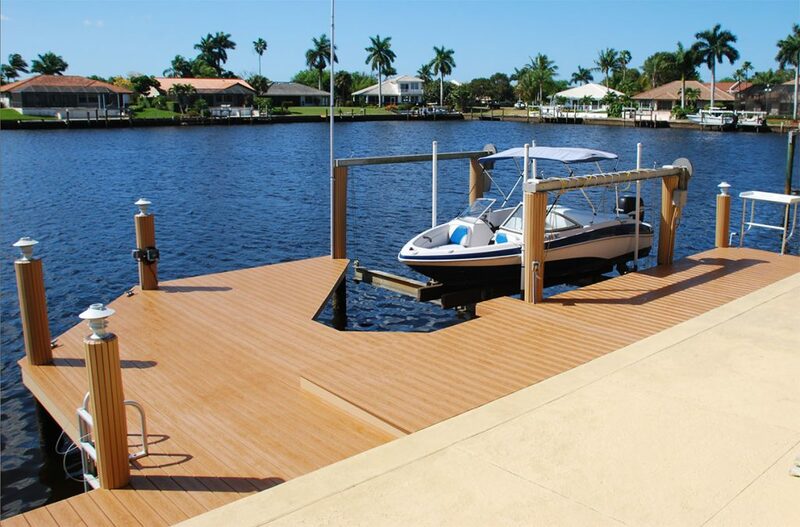 Help us understand your vision, your budget, and your needs, and we’ll guide you through the process of creating a beautiful, safe, and functional dock which will increase your property value and give you and your family a beautiful outdoor space to enjoy for years to come.